Jeff Simon’s love of aviation is taking him on a journey well beyond the cockpit. 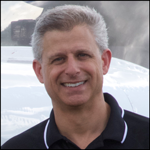 Jeff is a pilot, an aircraft owner, an FAA certified A & P mechanic and inspector, writer, and inventor. Jeff has spent the last 18 years promoting owner-assisted aircraft maintenance, holds several STCs (Supplemental Type Certificates) for aircraft modification and recently certified the FlexAlert multifunction annunciator to increase flight safety.Driven by a mission to get people flying more, Jeff is also the creator of SocialFlight.com and the free Social Flight mobile app which maps over 20,000 aviation events, destinations, and hundred dollar hamburgers to support the GA (General Aviation) community in the US and beyond. 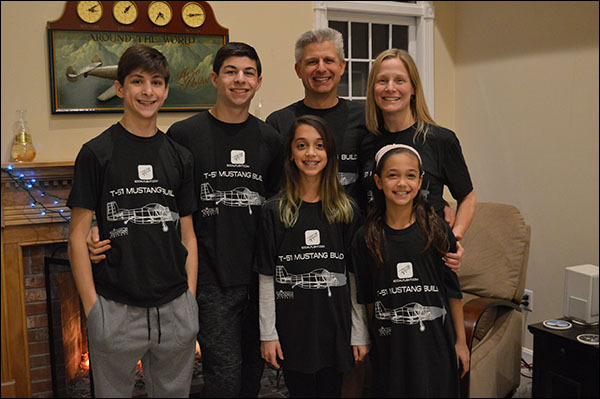 Most recently, Jeff and his two teenage boys have begun building a Titan T-51 aircraft kit in the living room of their home. Join us as Jeff gives us insight into his inspiring pilot journey. Jeff grew up with no aviation background. He was an engineer by trade and his training and education had nothing to do with aviation. It was only after college that he met his first GA pilot who gave him his first flight and introduction to aviation. The welcoming nature of the people in aviation further captured Jeff’s interest to become a pilot. Jeff has a notable experience flying at least 40 different aircraft types. Geography played a great role in terms of Jeff wanting to learn how to fly. New England is known for its forested and mountainous areas and it’s easier and quicker to get around the region flying instead of driving. Jeff at that time just got out of a relationship so he had the time and extra money to learn how to fly. He asked for a referral from someone and found an inspirational flight instructor. The relaxing experience of learning and flying made him very absorbed in it. He flew at least 3 to 4 times a week and acquired his licence in just 42 hours of flying. He literally purchased his first airplane, a 1975 Grumman American AA-5, the day before he got married. Having an engineering background, he worked on his airplane for improvements. Jeff eventually became the technical director of his plane’s owners club. He Also created FAA-approved modifications that increased the performance of the aircraft. It was an excellent learning experience for him. His most recent work called FlexAlert monitors the vital status of the aircraft so it would be accessible to the pilot in an instant. Jeff started making aircraft maintenance videos called The Educated Owner series. 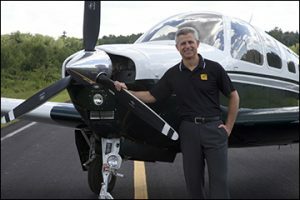 At present, he also writes aircraft maintenance columns for AOPA which gave him insight into the worldwide GA community. This eventually gave Jeff the idea for Social Flight. Jeff flies all over the United States to visit the many different state parks. He encourages everyone to do it! Using his learned piloting skill to fly his plane for business purposes. Jeff would love to see the Titan T-51 Mustang he and his sons are building in his living room fly someday. USAirnet Weather App: Launch code is the premiere weather forecast source for sport aviation pilots. The forecast data is read ‘real-time’ from the National Weather Service Aviation web site. If you’re willing to spend the time, you too can significantly increase the speed of most any aircraft. In Speed with Economy, Kent Paser takes you through every aspect of drag reduction using his Mustang-II as an example. (somewhat similar to Van’s RVs) Flat plate and other types of aerodynamic drag are discussed as are cooling drag, exhaust systems, and over 100 other hidden contributors of slow flight. Highly applicable and interesting, even if you don’t have the time. FlyQEFB – An Electronic Flight Bag that makes your flying easier and safer by thoughtfully integrating powerful features in a way that minimizes the number of screen taps and increases readability. SocialFlight – An app dedicated to provide information about aviation events worldwide. It aims to keep pilots flying and bring aviation enthusiasts closer. FlexAlert – The FlexAlert Multifunction Annunciator is a compact, all-in-one multifunction display that places critical warning and condition annunciations directly in front of the pilot to increase safety, save money and simplify panel layouts. www.socialflight-T51.com – Watch the T-51 Mustang Build!